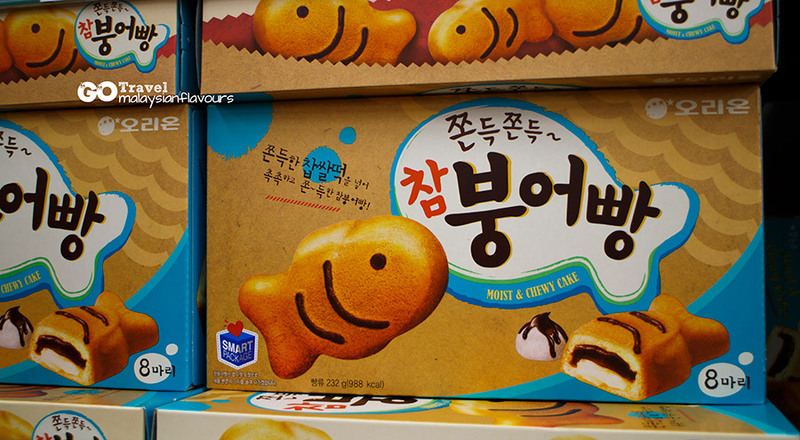 Korean snacks. Mask. Cosmetic. Clothes. etc.. 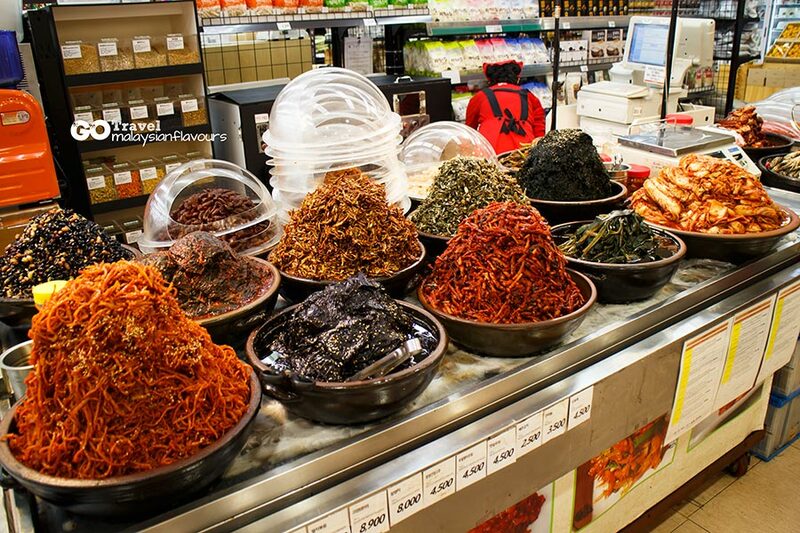 There are plenty of things to buy when travelling to Seoul, South Korea. Whether your favourite lean towards food category or fashion category, there’s always something that fit your purchase. 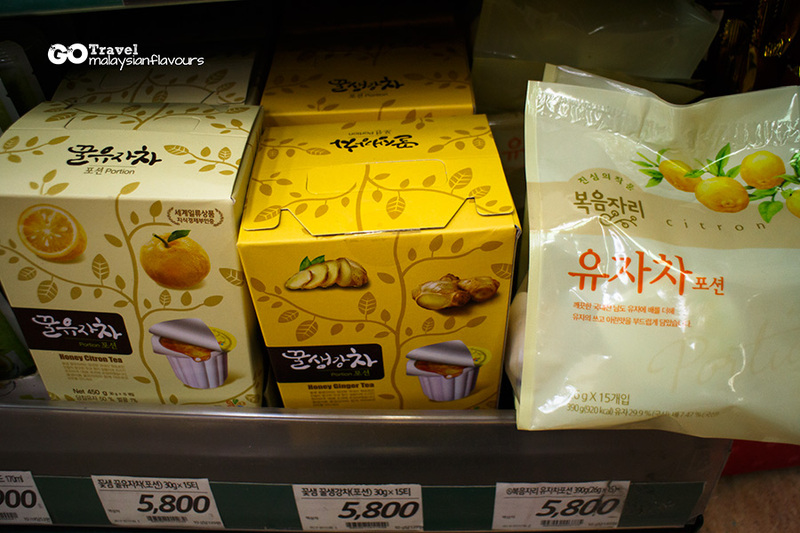 One day before leaving Seoul, we visited one of the leading supermarkets in Korea- Lotte Mart. 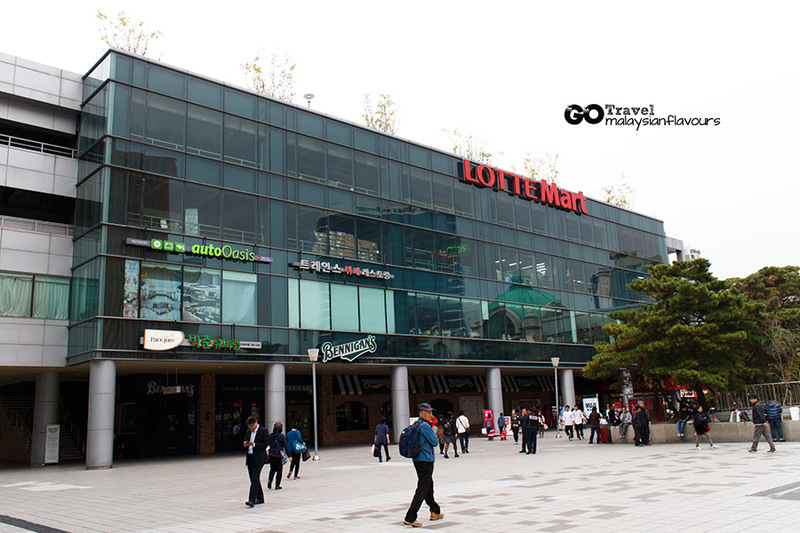 How to go to Lotte Mart Seoul Station? Align at MTR Seoul Station (Line 1, 4) Exit 1 and follow the signboard to reach. 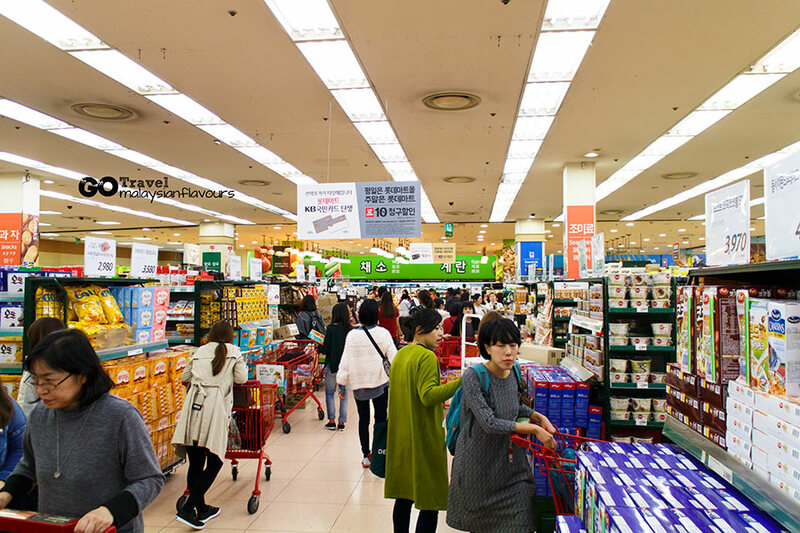 Lotte Mart branch in Seoul Station is directly connected to the subway, considered a convenient one-stop-store in a strategic location for groceries, apparels, electronic appliances and other goods. 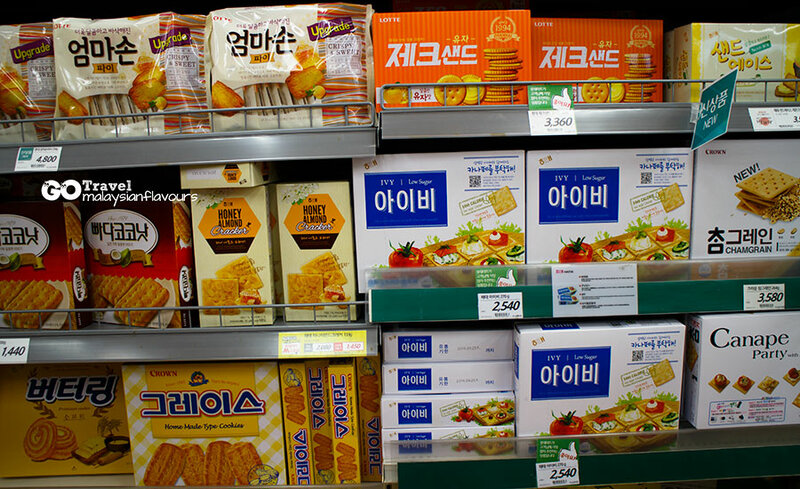 Some visitors in Lotte Mart buy a lot. 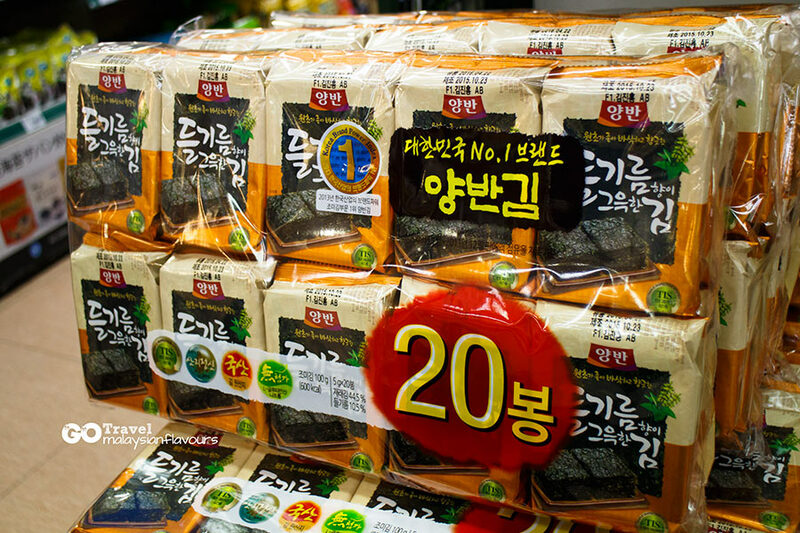 They grab dozens of seaweed, shampoo, biscuits, chocolates, and so forth, filling up the trolley to almost overflow. We wonder are they buying these for own use, or as souvenirs.#shrug. Speaking about difficulties to carry them back to hotel? No worries. 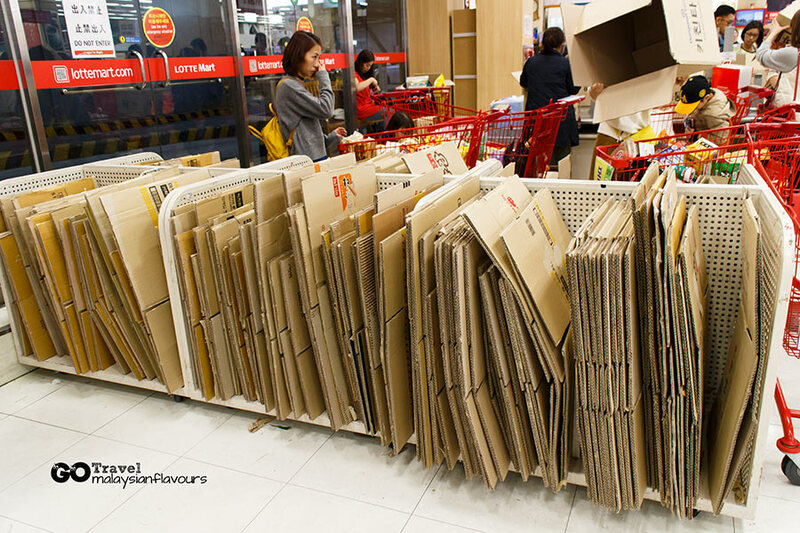 There are many paper boxes after the payment counter, where you can have them for FREE. Pick the size you want, and pack accordingly. Otherwise, save the hassle and proceed to EMS international shipping counter. You can courier them back to your own country with affordable delivery fees. 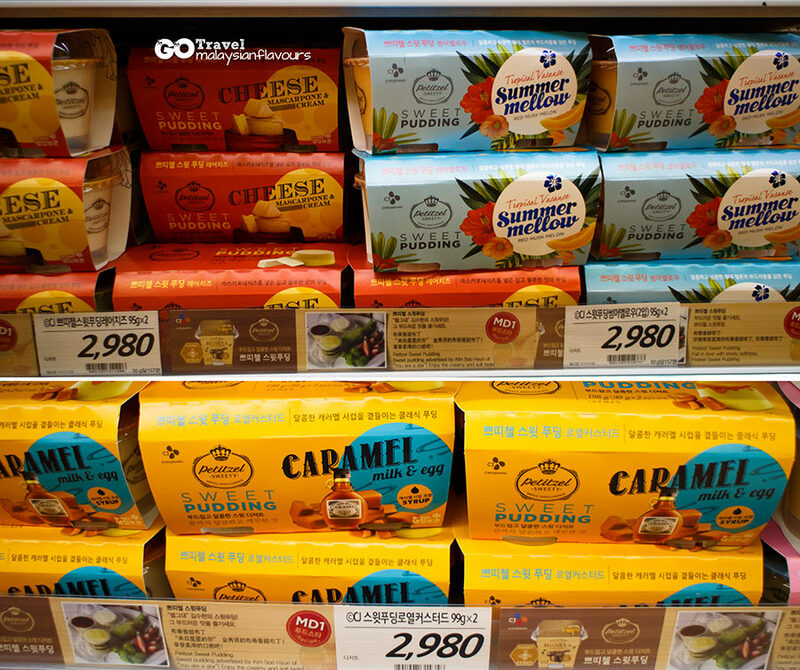 We went straight to the food section, browsing through countless types of packaged products. 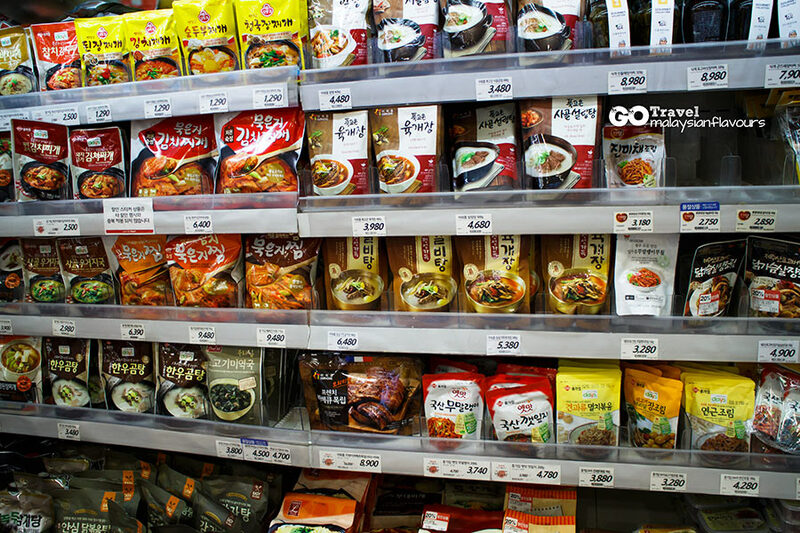 Glad that most items we bought taste really food, and regret not buying more. 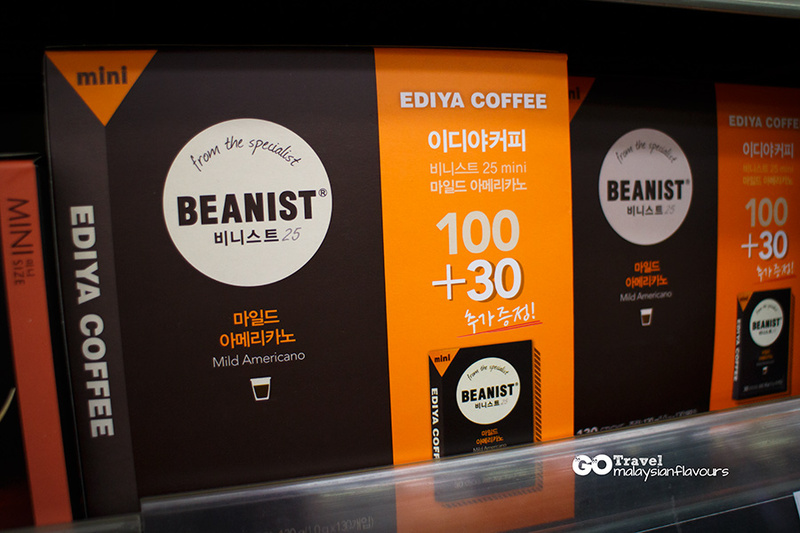 They are double (some triple) in price when selling in Malaysia. 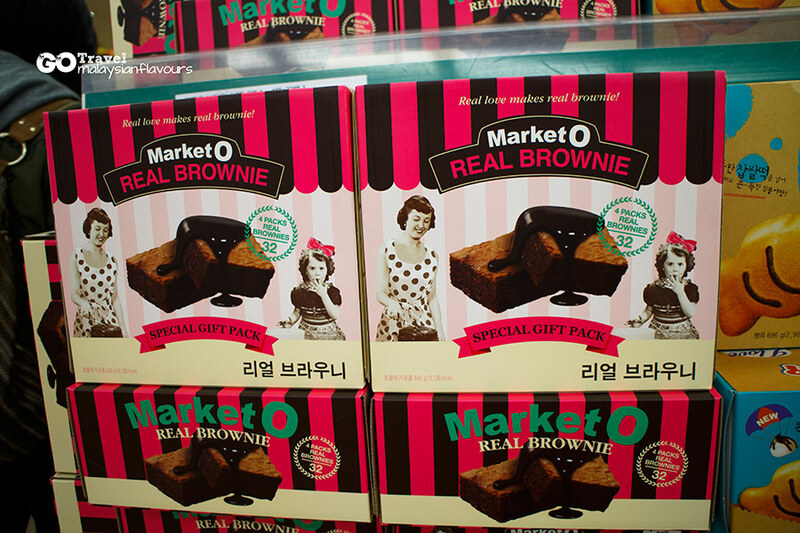 “You must buy, it is super nice.” Our friends have been reminding us to buy Market O brownie. At that time we were like: “brownie in a box, how special it can be?”. Upon trying, we both agree that the chocolate brownie is real good stuff. Moist, dense, chocolate. Summergirl had 4 brownies at one time. 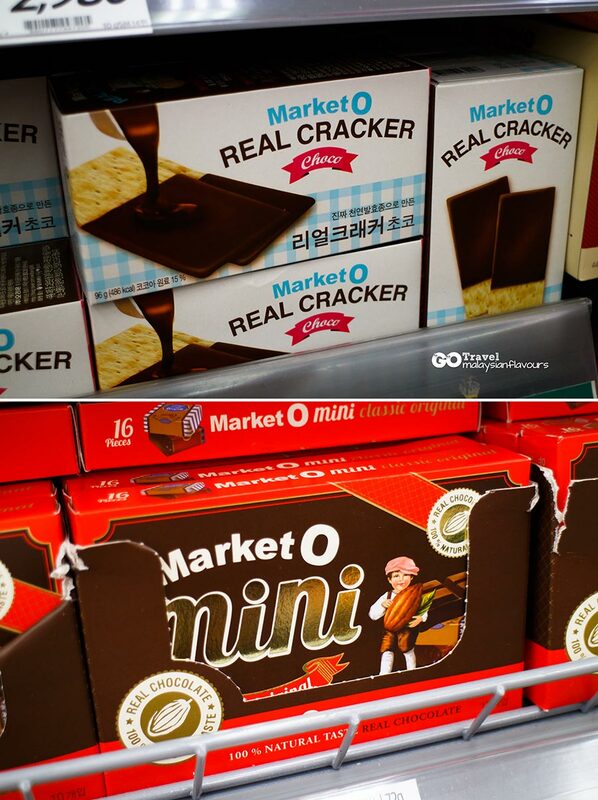 Biscuit coated with chocolate – not all brands manage to put these two things together into delicious match, but yes for Market O. Summergirl bought only one box of this, two packets inside. She ate one, found that it tasted much better than she initially thought of. She ended up keeping the other packet and refuse to finish it. Savoury crackers, addictive till the last piece. Crispy, laced with mild cheesiness from cheddar and camembert cheese. Summerkid never like Shin Ramyun when in Malaysia. 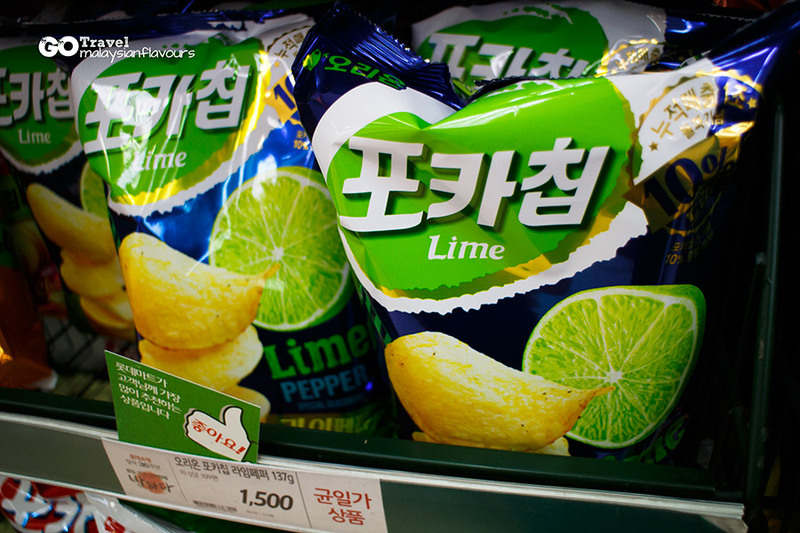 He had one in Seoul, and said he loved it. 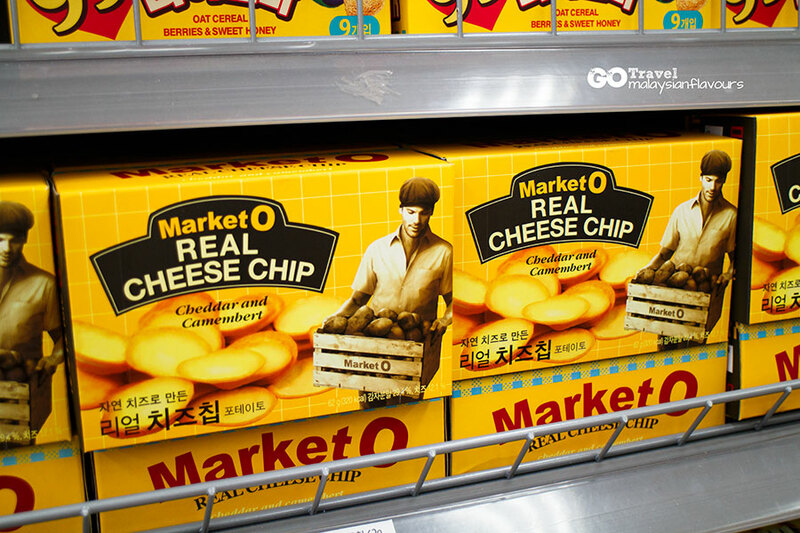 We bought a few packets and compare with those in Malaysia supermarket, and realize they are actually different, from the packaging, and in fact, to the taste. This is must-buy. In Malaysia, we only see them in glass bottle. 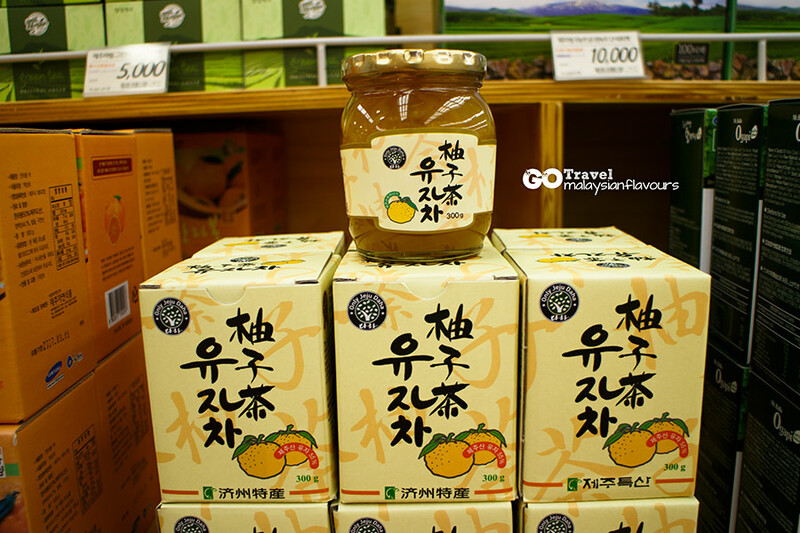 But Lotte Mart Korea offers Yuzu Tea concentration in different style. We like the one in capsule. One at a time, add water, just nice. 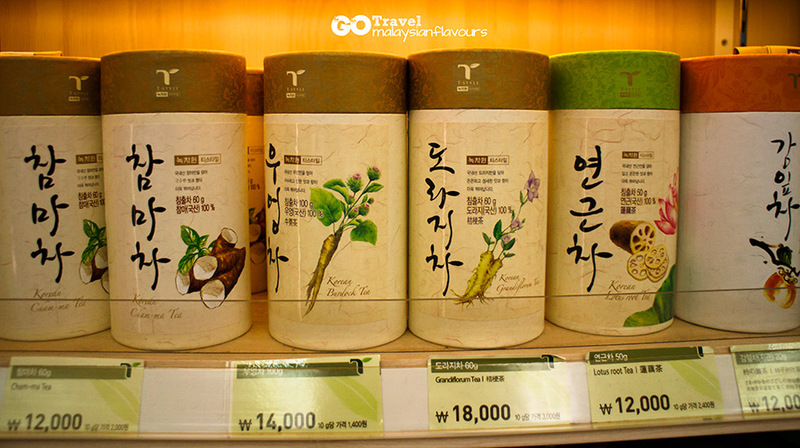 We drink this at least 2 times a day in Seoul, breakfast and supper, sometimes before dinner. Available in strawberry, light and honey lemon flavours too. Mascarpone Cheese & Cream Sweet Pudding, Tropical Red Musk Melon and Caramel Milk & Egg. We prefer the third one. Bought a few boxes for friends as souvenirs. These instant coffee (Americano) is packed in mini stick. Just add hot water and ready to drink. This snack goes wild among Summergirl’s colleague. 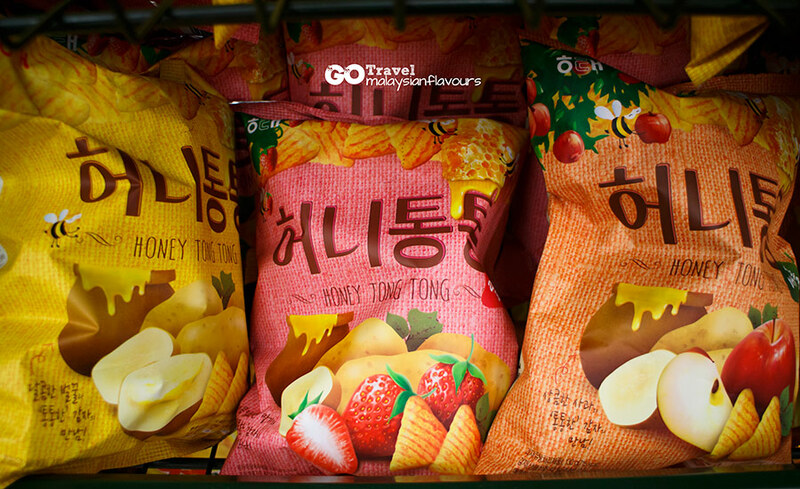 We couldn’t figure out why Honey Tong Tong is so popular actually. Decent chips to munch on, but not exceptionally mind-blowing as mentioned by many. 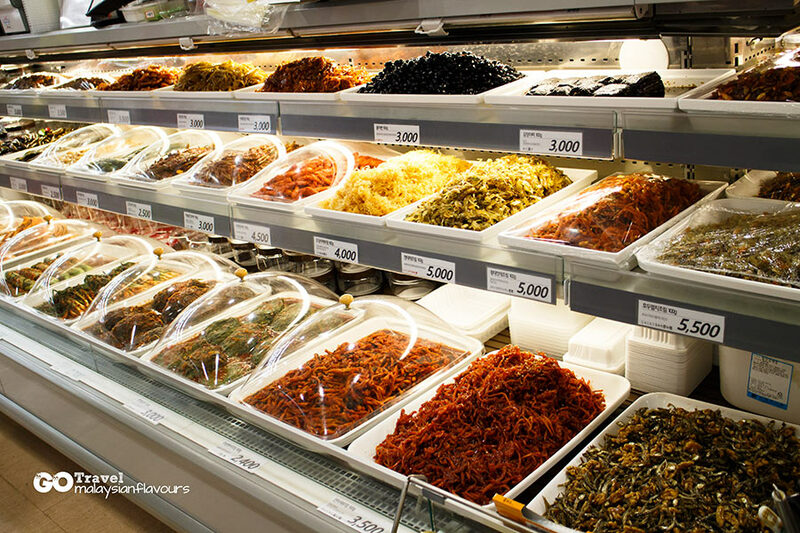 Get your favourite Korean banchan here. Didn’t buy any because minimum purchase is at least 1KG. A tangy twist to your cracker. Why not? 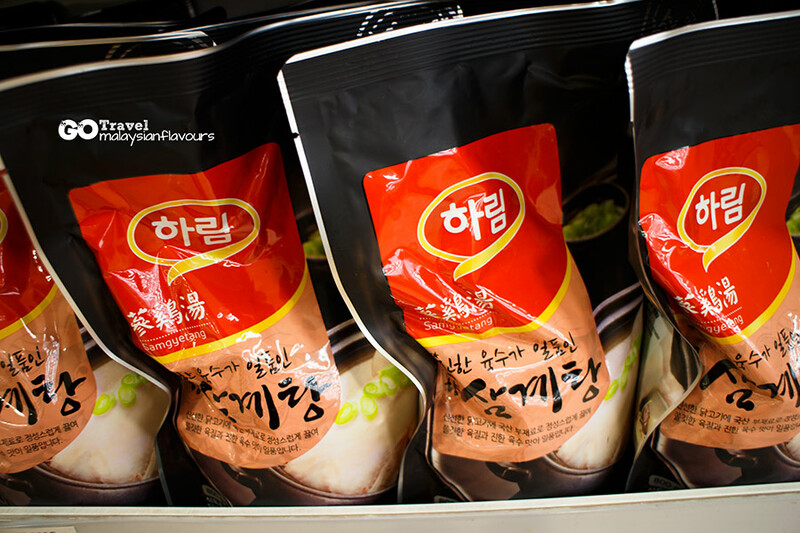 Also another must buy in Lotte Mart. We first tried this when our friends gave us as souvenir. Lovely sponge cake, layered with chewy sweet marshmallow in between. Spot the Cham Grain on middle right, our favourite biscuit too. 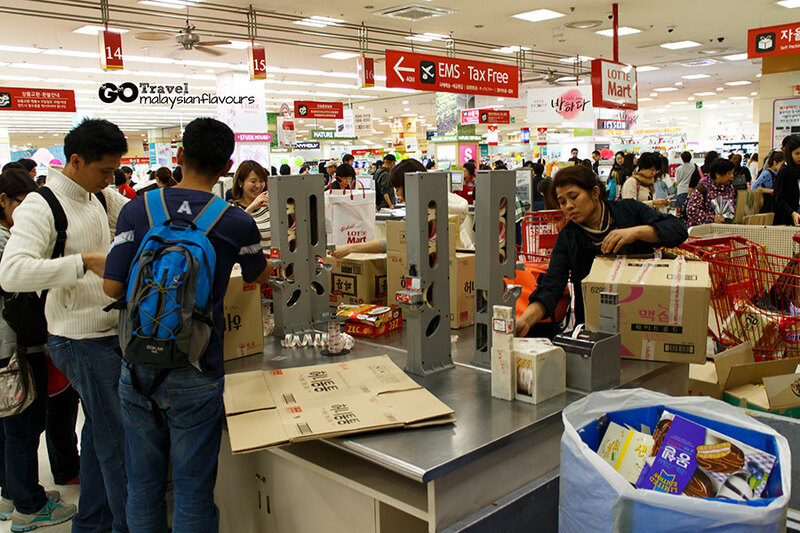 For purchases of 30,000won or more, you are entitled to VAT tax refund. 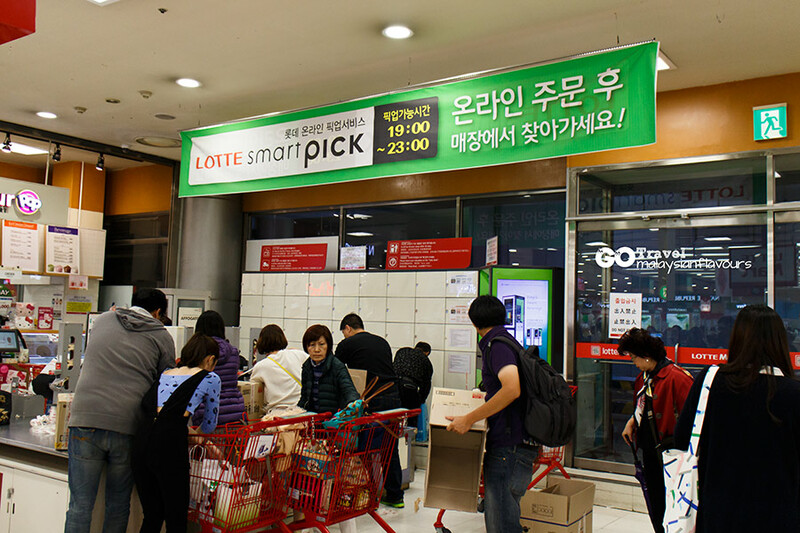 Do take note that Lotte Mart Seoul is closed on second and forth Sunday of each month. Get yourself a Travel Recommends Pocket WiFi for online convenience. Save the hassle to look for internet access in cafes, restaurants or hotels. 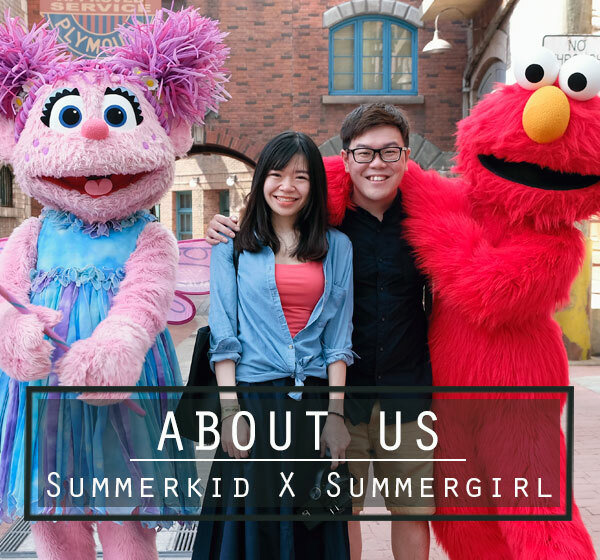 For more information, check out their website and FAQ page. 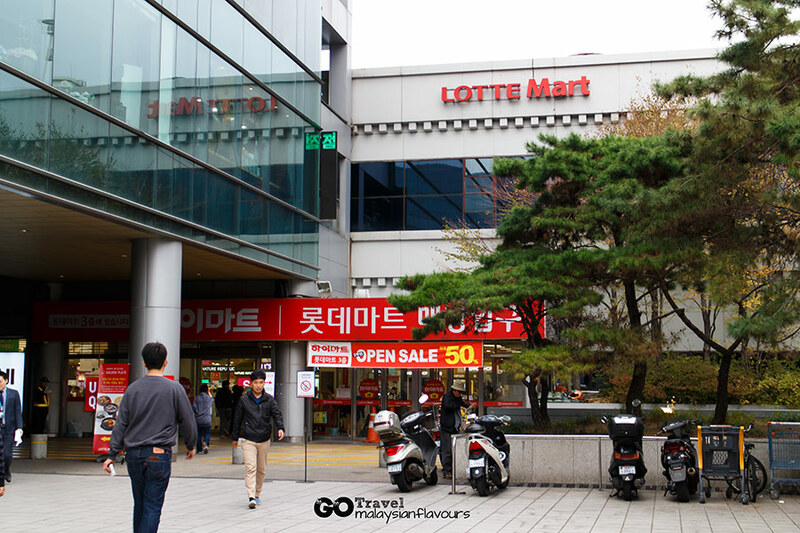 How to go Lotte Mart? 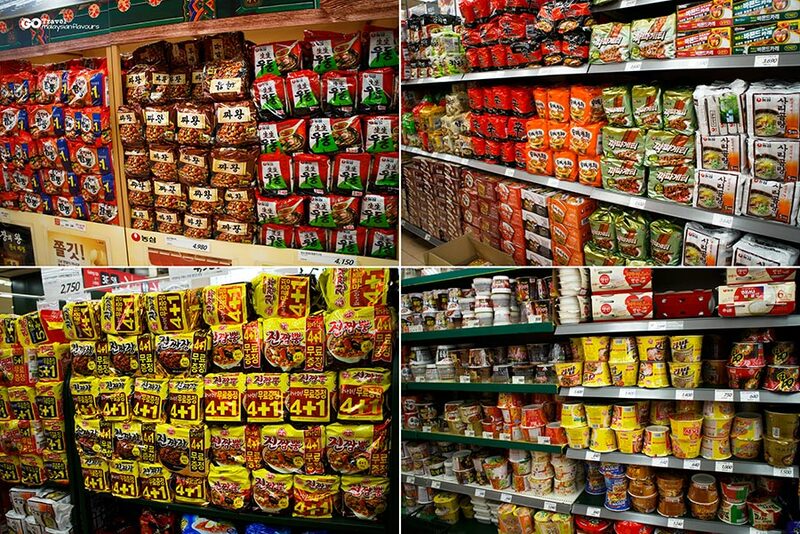 I’m surprise when u mention that even the taste of the instant noodle is different with those available in M’sia! Does all this snack are halal?